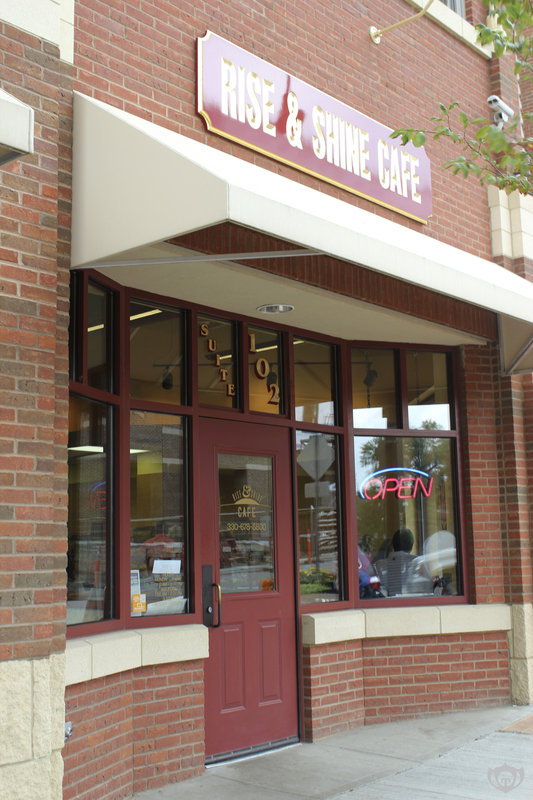 A week or two ago, I tried a new local breakfast restaurant in Kent called the Rise & Shine Cafe. 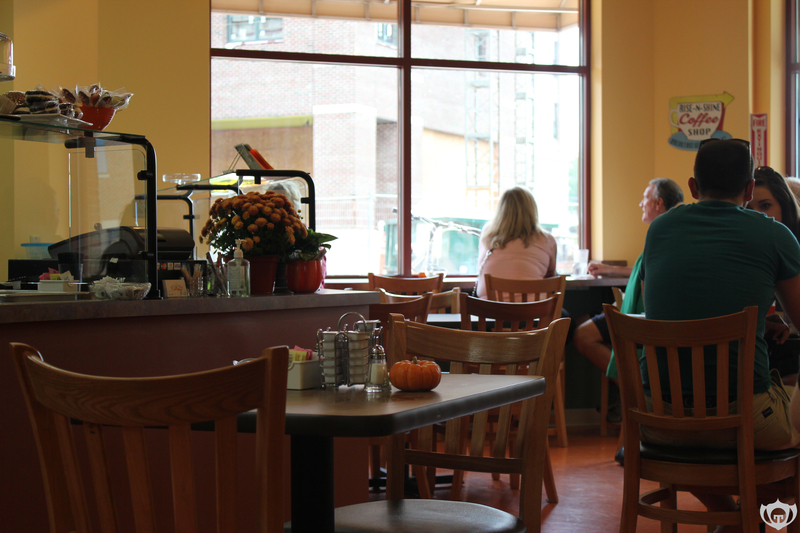 It’s a cozy place that initially was home to Zoupworks, a specialty soup restaurant. I used to go there quite often before they closed down. When I stepped into this new restaurant, I was slightly thrown off by how different it looked. Zoupworks was filled with 70’s decor, while this place is very simple. The walls are yellow with reddish leaf-like prints in various spots on the wall. I ordered the Black Squirrel Nutty Waffle with bacon and hash browns on the side. I also got this tasty apple cider. Waffles would have to be my favorite breakfast food. I’ve never been too big of a pancake person. 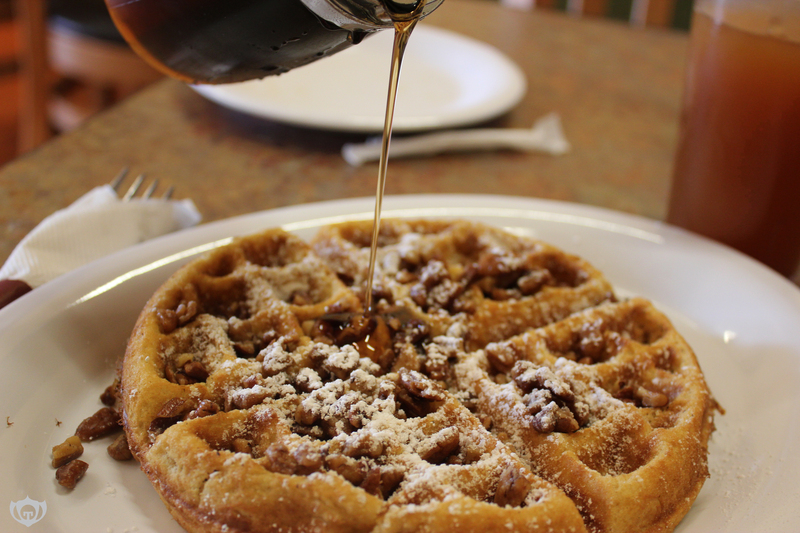 This particular waffle was covered with pecans and powdered sugar. 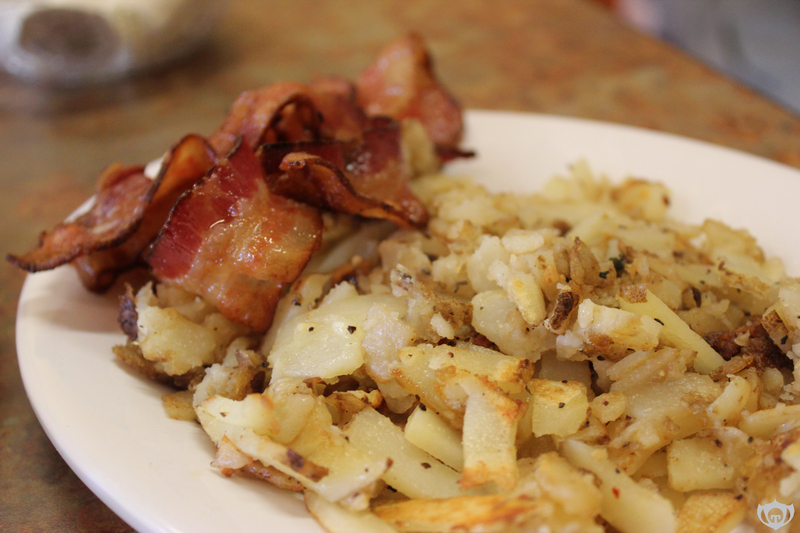 They cooked by bacon just the way I liked it and the hash browns were okay. The waffle was amazing! Their prices are fairly cheap. Since it’s in a college town I would expect it to be. I got everything for around $16. I probably didn’t need to eat all of that either. I was completely stuffed to the brim by the time I left. Overall, I would go back. 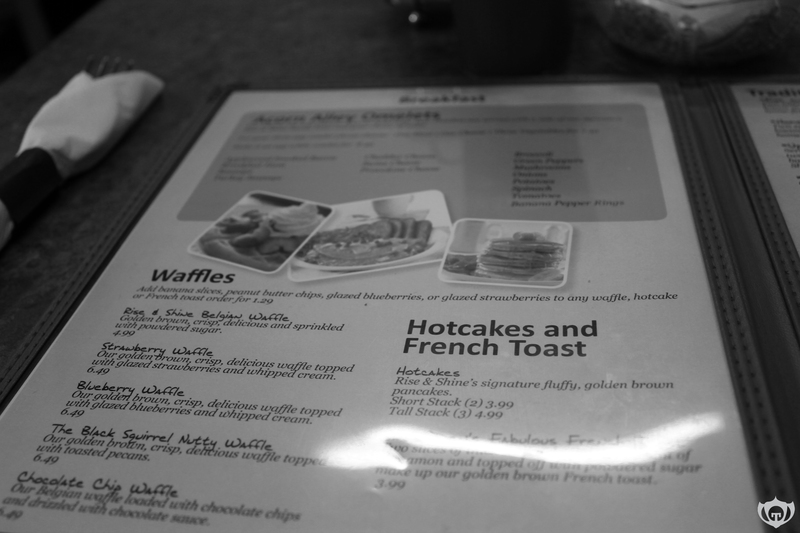 I’m not sure about their other items like eggs and omelets, but it’s worth a try. ← Personal Work: I’m Yours.